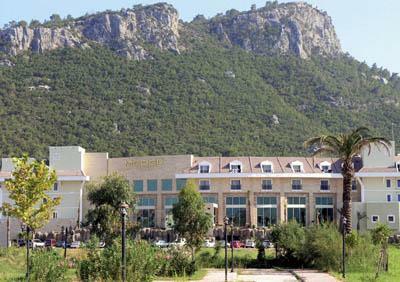 Situated directly in Kemer, Antalya airport is just 50 km away. This luxury hotel has something for everyone, so whether you in search of a relaxing retreat, or an action-packed adventure you are sure to leave with some unforgettable memories. 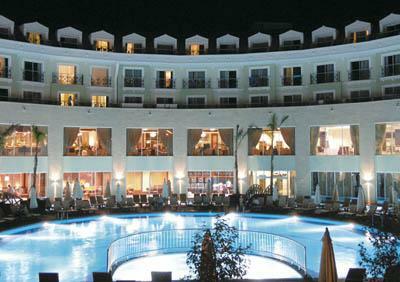 Reception * lobby * restaurant * 4 bars * outdoor swimming pool with children’s section * indoor pool * meeting room. 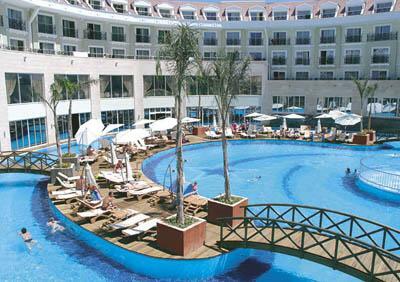 Turkish bath * sauna * fitness * animations * disco * aerobics * tennis courts * animations. Pool * menu * kids club. 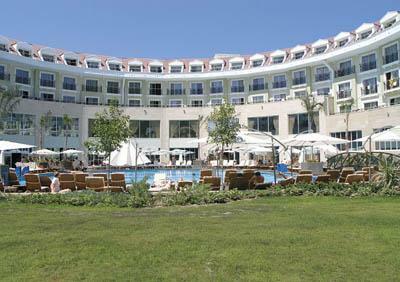 Bottled drinks * fresh fruit juices * Turkish coffee* playstations * massage * wellness centre * water sports * billiards * drinks in disco bar, vitamin bar * local champagne * room service * a la carte restaurant. Air-conditioning (central) * French balcony/balcony * minibar (refilled once a week with soft drinks) * satellite TV * bathroom with hairdryer * telephone * safe (payable locally) * carpet. Beach:Private sandy/pebbly beach is just 300m away. Sunbeds, umbrellas, mattresses and beach towels available free. There is a free shuttle to the beach. Unlimited soft and alcoholic local drinks from 10.00 till 00.00 oclock. Open buffet breakfast, lunch & dinner. Late breakfast, snacks (12.30-15.00). ice cream (15.00-16.00), coffee/cake.